Former World Heavyweight Champion Rocky Balboa serves as a trainer and mentor to Adonis Johnson, the son of his late friend and former rival Apollo Creed. Unlike many successful franchises, we have yet to get a formal reboot of the Rocky series. 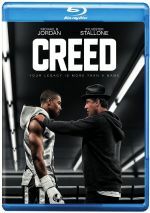 However, 2015’s Creed acts as a mix of reboot and sequel, as it combines characters from the past with a focus on a young protagonist. During a prologue set in 1998, we meet Adonis “Donnie” Johnson (Alex Henderson), an orphan housed in a Los Angeles juvenile facility. With a quick temper and powerful fists, Donnie often finds himself in trouble. Donnie’s life improves when Mary Anne Creed (Phylicia Rashad) visits him and reveals that her late husband – boxer Apollo Creed – was his father. Despite any dismay Mary Anne may have over her husband’s infidelity, she takes in the boy and raises him in the lap of luxury. In present day, Donnie (Michael B. Jordan) works a desk job but fights in small-time bouts on the side. Eventually, he tires of this and despite Mary Anne’s protests, he quits to devote all his attention to pugilism. This sends Donnie to Philadelphia, where he decides to convince his father’s old opponent Rocky Balboa (Sylvester Stallone) to train him. 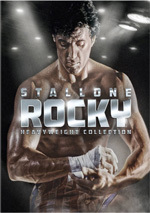 Content to run a restaurant and live a simple life, Rocky resists these entreaties, but he eventually accedes and attempts to form Donnie into a professional boxer. These efforts work well enough that Donnie soon gets a shot to take on champion fighter “Pretty” Ricky Conlan (Tony Bellew). When announced, I think Creed inspired some groans. Like 2006’s Rocky Balboa, Creed appeared to offer one too many returns to the well. The Rocky franchise seemed to have run out of steam by 1990’s Rocky V, so it seemed unlikely that greater glories would result. However, also like Rocky Balboa, Creed enjoyed a good reception. Neither film set box offices on fire, but both turned profits, and both earned solid reviews. Balboa felt like an appropriate swansong for Rocky, but Creed allows the character to formally pass the torch. Because it posited a then-60-year-old Stallone as a credible pro boxer, Balboa stretched credulity, but it worked, as we bought Rocky’s comeback. Another prizefighting run for nearly-70-year-old Rocky would’ve really pushed believability, however, so I’m glad they opted to rework the character. Creed’s Rocky clearly adopts the Mickey role from the original films, as Stallone fits the part well. I can’t say he stretches himself in the role, as I think Stallone could play Rocky in his sleep at this point – heck, I think he was asleep during most of the shoot for Rocky IV! Nonetheless, Stallone still adds warmth and depth to Rocky. He avoids the self-parody that easily could’ve marred his performance – and that did impact the mediocre Rocky V - and gives us a good feel for a Rocky who has evolved over 40 years but who remains true to himself. Jordan also acquits himself well in the borderline thankless lead role. Face it: even with the movie’s title, most people view Creed as a de facto Rocky sequel. Adonis could’ve been a simple “angry young man”, but Jordan develops more emotion than that. A star on the rise since Fruitvale Station in 2013, Creed demonstrates Jordan’s strengths. Despite good performances, I must admit Creed leaves me a bit cold. While I think the movie has its moments, it just feels a little uninspired and without real purpose. That’s partly because Creed often feels like a remake of the original Rocky. Once again, we find characters who box for pennies but who get trained on the streets of Philadelphia before they receive their big breaks. Both enter fights in which they’re involved solely due to publicity reasons and both show the world their strengths. Oh, and they fall in love with local girls along the way. Sure, Creed twists the plot a little. Unlike Rocky circa 1975, Adonis doesn’t need to fight to make money, and the angry Adonis presents a different vibe than the gentle, chummy Rocky. A few background factors shake up the narrative as well. But not enough for Creed to ever claim its own personality. Honestly, I can think of only one reason that Creed needs to be connected to the Rocky series: because of it wasn’t, viewers would accuse it of being a Rocky rip-off. Because of Stallone’s involvement, we can’t accuse Creed of “stealing from Rocky”, but it remains a remake in too many ways, and that disappoints me. Couldn’t the filmmakers have depicted Adonis’s tale in a way that lacked all the parallels with Rocky’s journey? I realize they’re hamstrung when it comes to an ending – we know Adonis will fight well, and we know he’ll either win or lose – but the journey to the climactic battle just doesn’t manage to evolve in a particularly creative way. Creed appears in an aspect ratio of approximately 2.40:1 on this Blu-ray Disc. The movie offered a mostly positive presentation. Overall sharpness seemed good. A little softness crept into the occasional wide shot, but the majority of the film appeared accurate and well-defined. No moiré effects or jaggies occurred, and I saw no edge haloes. Print flaws remained absent. For the most part, the film opted for a low-key palette dominated by semi-desaturated teal and amber. These hues suited the material and came across with appropriate clarity. Blacks were dark and tight, and shadows seemed decent; some low-light shots were a bit thick, but most appeared fine. This was a more than satisfactory image. Similar thoughts greeted the movie’s DTS-HD MA 5.1 soundtrack. A character movie, Creed didn’t come with lots of room for sonic fireworks, though the boxing scenes managed to open up matters somewhat. A few street or nightclub scenes added a bit of involvement as well, and general ambience seemed positive. The soundscape was appropriate for the story. Audio quality worked fine. Music was full and rich, while effects showed good clarity and accuracy. Speech sounded natural and concise. I felt the mix delivered a worthwhile soundscape for the tale it told. A few extras fill out the disc, and we open with a featurette called Know the Past, Own the Future. It runs 14 minutes, 49 seconds and includes comments from producers Irwin Winkler, David Winkler, Charles Winkler and Bill Chartoff, director/co-writer Ryan Coogler, mixed martial arts fighters Miesha Tate and Chuck Lidell, boxing trainer Freddie Roach, and actors Sylvester Stallone, Michael B. Jordan, Tessa Thompson, Phylicia Rashad, Tony Bellew, Andre Ward, Gabriel Rosado, and Michael Buffer. We learn about the film’s roots and development, Coogler’s impact on the production, reflections on the Rocky series and the boxing scene, training, characters and cast. Don’t expect much substance from “Past”, as it mostly exists to tout the greatness of the franchise and Creed. A few minor details emerge, but not much. During the five-minute, 46-second Becoming Adonis, we hear from Jordan, Coogler, Stallone, stunt coordinator Clayton J., Barber, and fitness trainer Corey Calliet. “Adonis” looks at Jordan’s training and performance as well as fight choreography. Like “Past”, it includes some decent notes but lacks a lot of insight. 11 Deleted Scenes fill a total of 19 minutes, 36 seconds. These tend to offer a bit of character exposition and expansion. Some of these are decent – such as one that gives us more between Donnie and Mary Anne – but most seem pretty insignificant. The disc opens with an ad for Barbershop: The Next Cut. No trailer for Creed appears here. A second disc offers a DVD copy of Creed. It lacks any of the Blu-ray’s extras. As a semi-reboot of Rocky, Creed brings us moderate pleasures. While the actors add spice to the proceedings, the story seems a little too predictable and recycled. The Blu-ray provides pretty good picture and audio but lacks many bonus materials. Creed has its moments but it doesn’t quite develop its own identity.